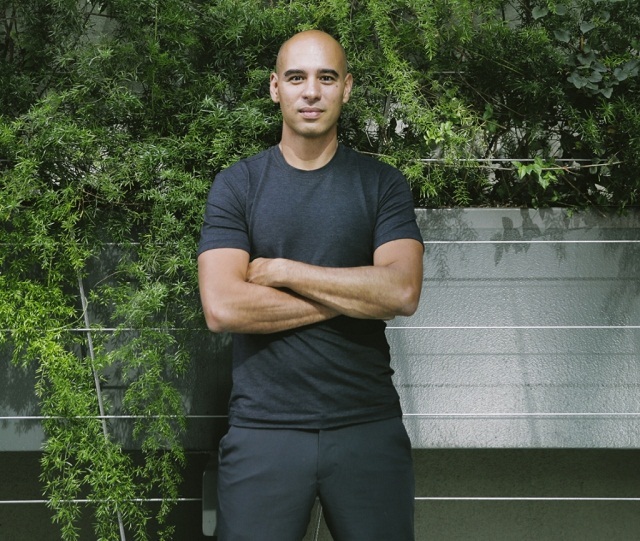 Leo Babauta is possibly the most 'authentic' minimalist blogger. 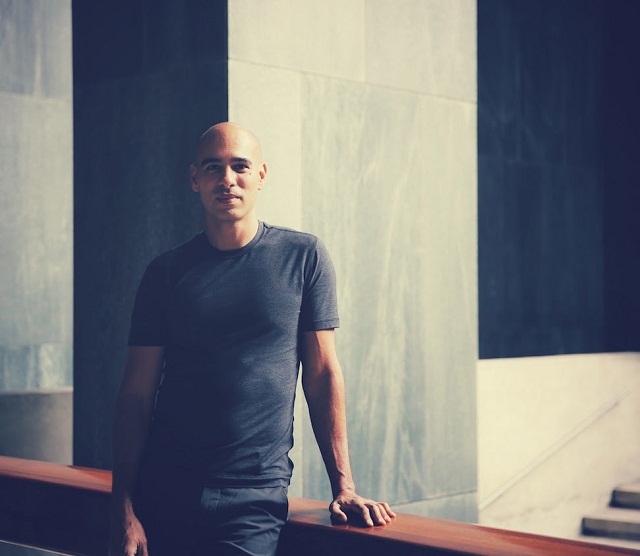 A minimalist with more constraints than others - a husband and father of 6 children - he has blogged about changing his life, one habit at a time, at Zen Habits since 2007. Leo has the same doubts, fears and ability to procrastinate as the rest of us but his ability to attack his failings with gusto makes us see that life changes are actually within our capability too. Recently, I was delighted to be given the opportunity to interview Leo about his new book, Zen Habits: Mastering the Art of Change. 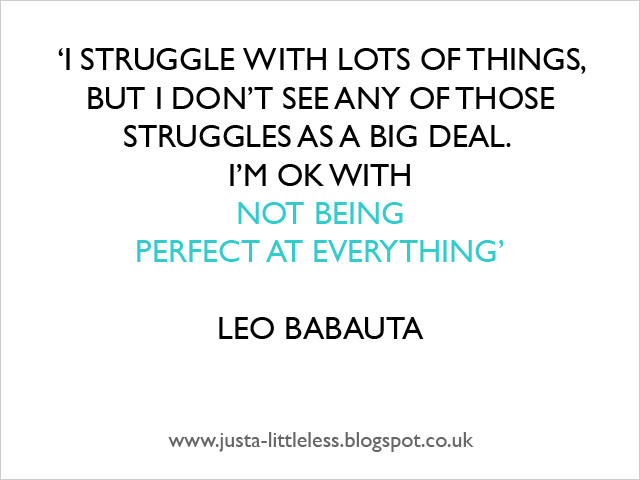 Here's Leo on writing his best book ever, his current favourite simple pleasures and not being being perfect at everything! 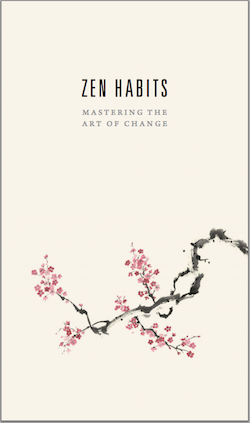 Your new book Zen Habits: Mastering the Art of Change is almost finished. You are crowd funding this book and have described it as a world changing project. What are your hopes for this book? I really just hope to get it into people’s hands and see whether it’s helpful. But I do think that if it helps people make changes in their lives, and deal with frustrating and difficult life changes, then it changes the world in a small way. And if readers then become the inspiration for others to change their lives, the change spreads. The more powerful the method of change, the more powerful the changes it creates … and the more powerful the movement of change that begins to spread through the world. How does this book differ from your first book The Power of Less which was published in 2009? I’ve learned a lot in the last 5 years, coaching thousands of people change their habits and working with new ideas in my own changes. One of the biggest things I’ve explored is the resistance to change that we all feel — how do we deal with that? I’ve also learned lessons about dealing with frustrations and stress, anger and unhappiness with ourselves. And one of the best lessons I’ve learned is how to adapt your habit plan to evolve with the reality of your life and the unforeseen obstacles that come up. We tend to take failure with habits as a sign that we’re not disciplined, but really we just need to make readjustments as we go. In March this year you ended your successful site mnmlist, in order to concentrate on writing Zen Habits: Mastering the Art of Change. 5 years on and much success later, has it been harder writing your new book than The Power of Less? Yes, this has been the hardest book for me to write, because I set a really high bar for myself. I wanted this to be the best book I’ve ever done, but how can I meet that impossibly high standard? That caused me to be filled with doubt and fear, but learning to deal with those things has been helpful. One amazing thing I did was write the early version of this book for a group of 10 alpha testers, who read each chapter as I wrote them and then put them into practice, journaling about it and giving me feedback on what was working, what wasn’t, what needed clarification, where my holes were. This was tremendously helpful — much better than the usual process of writing in solitude and then putting it out in the world untested. You seem to have a balanced approach to life. What would you list as some of your current simple pleasures? I love a good workout (lately barbell strength training), a good book, a nice walk with one of my kids, a simple meal with lots of veggies, berries, a glass of red wine, a cup of tea. I have to admit that when I get focused on writing, I’m not always balanced. I forgo those simple pleasures so that I can work on my book. So I have to step back sometimes and re-adjust my life when I get stuck in tunnel-vision. You've mentioned your love of reading many times in your blog. What have you read recently that has inspired you - both fiction and non-fiction? I rarely read non-fiction books, though I really should read more of it. I do read a lot of non-fiction longform articles online. But my real pleasures come from novels, and recently I’ve been tackling some longer ones that I’ve been wanting to read for awhile. On my recently read list: War & Peace, Madame Bovary, Musashi, The Goldfinch. I really enjoyed all of them! You often write about confidence. How has following your dreams, changing your life around and improving your health enhanced your confidence? Before I started making these changes, I really didn’t think I could do anything bold, anything meaningful, anything lasting. But by making small changes, one at a time, I’ve changed my entire life … and that has given me the trust in myself that I’m capable. That’s the amazing thing about making changes — it’s not the changes themselves that matter so much, but the confidence you build in yourself that you can stick to something, that you are good enough. It’s a slow lesson, but a rewarding one. I’m so glad that I’ve proven myself to myself, and it has given me the confidence to create and launch and publish a book on my own, or take on a 50-mile ultramarathon, or move my entire family to a strange new city. That’s not to say I never have self-doubt — I do, all the time. But I’ve learned that that’s OK, and I can be OK in that uncertainty. Which has been your biggest challenge to date in regard to improving your life? I struggle with lots of things, but I don’t see any of those struggles as a very big deal. I’m OK with not being perfect at everything. I struggle with mindfulness, with being happy when someone is unhappy with me, with self doubt, with urges to eat unhealthy food when it’s right in front of me, with being mindful throughout the day, with procrastination, with having too many things I want to do, with rushing from one thing to the next. I’ve gotten a lot better at all of these things, but I know I have a lot of room for growth. And that’s wonderful — how boring would it be if we couldn’t grow? I am amazed that 7 years after first posting on Zen Habits you are still writing inspiring and original material every few days. How do you maintain this consistency? That’s a huge ongoing challenge for me. I have to find a balance between finding new things to write about, and writing about old things in new ways for my new readers who are just finding the site. Writing about old things bores my most loyal and longest-surviving readers, and honestly it bores me if I have to write about those things too often. So I’m always pushing myself to learn new things, to try new challenges, to reflect on what I’ve been learning, and to see what good ideas others have in all kinds of fields (startups, business, science, coaching, psychology, gaming, etc.) that I might apply to my own areas in a new way. With this constant exploration, I’m always discovering new things. And sometimes remember old valuable ones that I forgot! It never really stays the same, of course. These days I typically wake a little before 6am, when it’s still dark, and make a big pot of coffee and empty out my email inbox while that’s brewing. Then when the coffee is ready I get to writing. I write, take breaks to walk around, write some more, do email and other small tasks, write some more, exercise. Writing is always the priority, though. At some point I try to call it quits and read with my kids or take them to the park. At the end of the day, I have a glass of red wine with my wife. Finally, myself (and many of my readers) were lucky enough to see The Minimalists on tour last month in the UK. Would you ever like to visit the UK, either on a tour or with your family? I love those guys! They are tireless, going from door to door selling minimalism. That’s amazing. Of course, I would be thrilled to come to the UK! I’m thinking of taking the kids to Dublin and London and then the continent in summer 2015, so maybe we could make something happen. I want to take them to platform 9 ¾, Abbey Road, Westminster Abbey, and a pub for a pint. What’s the minimum drinking age in the UK? I must say a huge thank you to Leo for this wonderful interview. As a UK minimalist blogger it was an honour to interview him. I can't wait to read his new book and wish him continued success with his Kickstarter campaign. Thank you so much for this great post. I've been following Leo for several years and really enjoy his writings. I'm not a minimalist but I do enjoy taking steps to make my life as simple as possible for me. How wonderful Claire. I love Leo (and his site). Thanks for this! I have no doubt the new book will be a big success.